This is nonsense. The founders compromised on the issue of slavery, and we are still dealing with the blow-back. This nation engaged in its deadliest war because they compromised on that issue. Abraham Lincoln did not compromise on the issue. 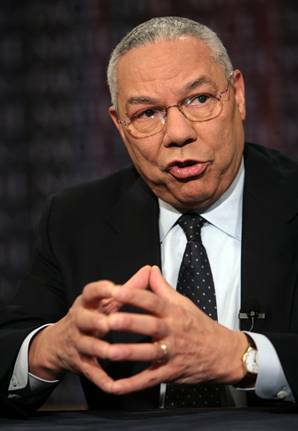 The founders may have compromised in formulating the structures of our government, but they did not compromise in whether we should have our own country, or Colin Powell would never have been Secretary of State, or Chairman of the Joint Chiefs of Staff for the United States, since it wouldn’t exist. This is the sort of half-witted, dishonest argument I have come to expect from Powell. He’s an establishment hack who serves himself, and official Washington DC, but not the nation at large. The other thing concealed by Powell’s attack on the Tea Party is the question: If the Tea Party is supposed to compromise, with whom is that compromise to be made? It’s not surprising that Powell doesn’t indicate who that might be. Compromises are made between entities. 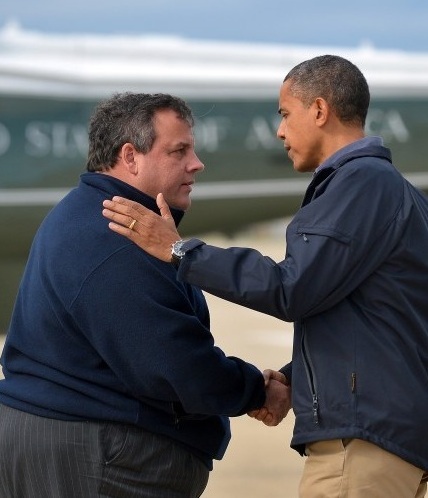 If Tea Party is one entity, who is the other? This is typical Washington-speak, because if Powell was really interested in seeing the Tea Party compromise on an issue, he’d tell you which issues, and with whom. Instead, he’s simply hurling insults. 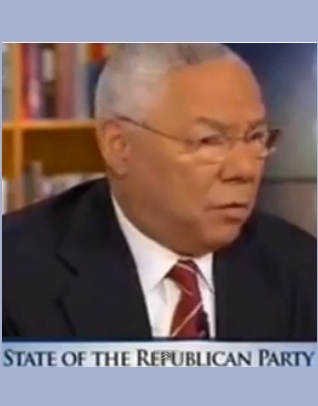 Sadly, instead of providing something constructive, Powell simply laments the uncompromising nature of the Tea Party. With whom has Powell compromised? He’s not willing to compromise with anybody, having secured his lifestyle as part of the establishment. He’s not willing to see the DC establishment give any ground to the American people. I might have been willing to accept his arguments if he’d shown even the first indication of honesty in his arguments, but as is all too clear, Powell simply wanted to smear the Tea Party. Amanpour was only too happy to give him the opportunity. If, as Douglas MacAurthur reminds us, “old soldiers never die, they just fade away,” I think conservative Americans will be just as happy if Powell begins to fade sooner rather than later. Until he learns to speak honestly on politics, he’s not performing a service for the American people, a thought that prompts me to wonder: Other than vanity, whose interests is he serving?